I seldom write or post on my report as a Race Director in my Races but for the RIZAL DAY 32K Run, I have decided that I have to bring back such practice. I could not believe that the 4th edition of this Fun Run in memory of the death of our National Hero, Dr Jose Rizal had passed with a number of regular runners, triathletes, and Ultrarunners. It started as a Fun Run to cap/end the year; a run to burn those calories stored from the Holiday Parties; and a run to start the season of training for the incoming Marathon Races and the Bataan Death March Races which are scheduled within the First Quarter of the incoming New Year. 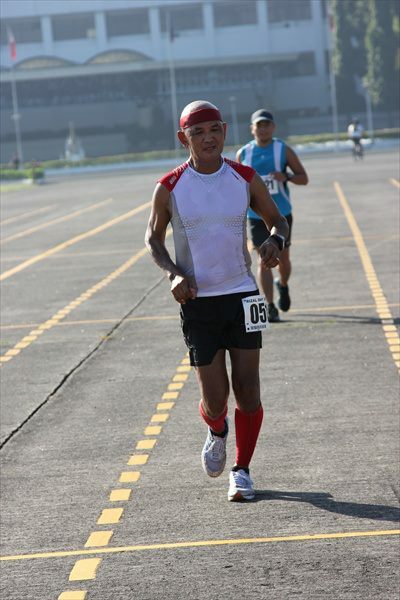 For the past two editions, I joined the race as an Official Participant with the proper Race Bib and following the prescribed route/number of loops inside the premises of Camp Aguinaldo. Although I was in a relaxed mood and started later after the whole runners have left the starting line, joining the race was a good way to find out the problems among runners as well as problems/concerns in the different aid stations along the route. This is the reason why I made a comment on Facebook when I posted an Event Page on this running event that runners tend to forget how to count from One to Five! Each runner has to complete at least 5 LOOPS with the 5th loop as 3/4th of the whole loop which a runner had been running for FOUR TIMES. Well, there are some who should do their assignment on ADDITION before they have to join this running event. For the latest edition (2012), I adjusted the starting time to 4:30 AM so that the fast & faster runners will take advantage of the cooler temperature before sunrise. This solved the problem for some who could hardly count 5 loops as they enjoyed the cooler temperature. However, there are still runners who could not count properly up to 5! Aside from the counting problem of some runners, everything was perfect! There were ample supply of water, ice, soft drinks and bite foods. I guess, this is the only running event (less than marathon distance) that serves noodles, soft drinks, biscuits, & chocolate bites along the route. Of course, most of the runners had been asking about the lechon and the beer after the race but sad to say that the Principal Sponsor for these items did not run in the said event. On a personal note, I was able to improve my finish time as compared to my last year’s, 4:20+ hours, to 3:48:++hours and I think with such conservative result, I can say that I am back again for bigger races in the next coming new year. On the financial side of things, I was able to raise the amount of Ten Thousand Pesos for Gerald and Marcelo as their “support for their training & pocket money” for their participation in the 2013 Vibram Hongkong 100K Trail Run. For the future of this event, I have discussed to some of my ultra running friends after the race that this event will expand to more category of distances. I will maintain the 32K event and let the runners practice more on how to count properly; a 42K distance will be added where a runner will practice how to count up to 6 loops; and a 50K ultra distance where a runner will patiently count up to 7 loops inside Camp Aguinaldo. I hope this plan will work! Of course, the registration fees will vary depending on the number of loops you want to count during the run. 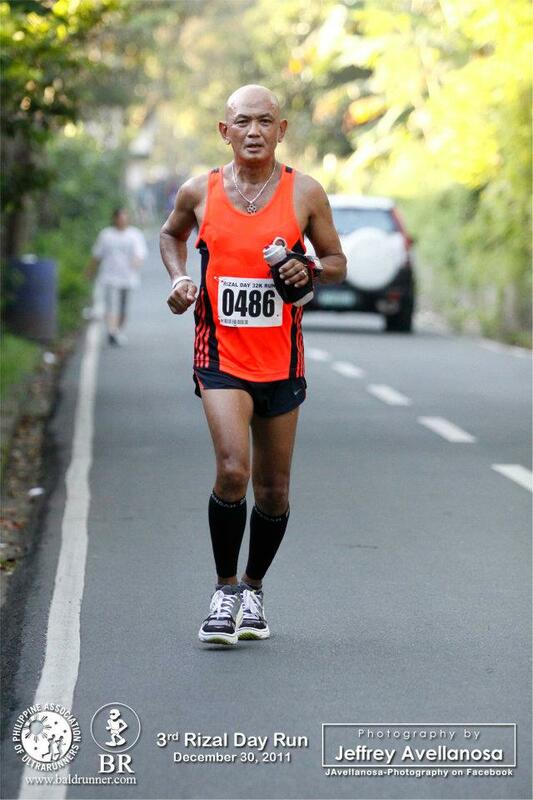 So, see you this December 2013 for the 1st RIZAL DAY 50K Ultra Run! Be sure, you know how to count up to seven! Thanks sir Jovie nice blog. Will join you this run come dec 2013. Will practice my add math so I will not join the ranks who do not know how to count. He he he. God bless.